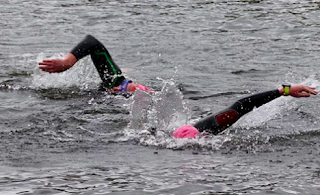 The Daily News of Open Water Swimming: Scottish Squabble: Siding With...Or Sinking SOWSA? Scottish Squabble: Siding With...Or Sinking SOWSA? Courtesy of The National, Huntington Beach, California. It is clear that the sport of open water swimming is growing with heated debates over the governance of the sport. Andrew Learmonth reported that SOWSA (Scottish Open Water Swimming Association) lost its battle to manage and control the open water swimming waterways of Scotland. The joint effort by Vigour Events event organizer Robert Hamilton, The Water Safety Crew pilot Stewart Griffiths, and open water swimmer Phia Steyn has been negatively dismissed by some swimmers and organizations like the British Long Distance Swimming Society and the Outdoor Swimming Society as well as open water swimmers who said the group was unwanted, unnecessary and overly commercial. The trio planned to establish SOWSA to promote and grow safe open water swimming within Scotland through cooperation between relevant stakeholders and partners in the country (that includes open water swimmers, coaches, event organizers, boat pilots, health and safety professionals, landowners, local and national tourism bodies and relevant heritage and conservation bodies) via one governing body with the aim of promoting and growing safe open water swimming in Scotland. A more complete background on the decision is posted here in The National. But the debate may not be over - responses to the proposal are due by February 13th. The trio summarized their position, “Fundamentally we do believe that there is room and the need for a Scotland-specific open water swimming society of some sort.” While on the other side, the reasons for opposition are posted here by the Outdoor Swimming Society.